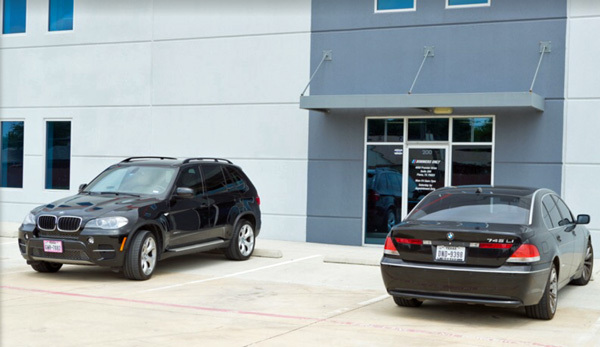 Why choose Bimmers Only for BMW repair in Frisco, TX? How about reliable service, skilled technicians, friendly customer service and competitive prices? If that’s not enough, how about 100% satisfaction guarantees, quality factory parts, 50 percent off dealership prices, comprehensive services and short wait times? We do it all here at Bimmers Only, your trusted BMW repair shop in Frisco, TX. We value our Frisco customers and it shows, as we’re a company built on a foundation of customer service, attention to detail and dedication to offering the latest repair techniques, equipment and technology. From repairs and regular maintenance to brake work and AC service, you can rely on us. Bimmers Only is your source for quality BMW repair service in and around Frisco, with a wide service area that ranges from Dallas to Fort Worth and everywhere in between. We welcome customers in Frisco, part of the bustling Dallas/Fort Worth metroplex, home to just under 120,000 at last check. Your city was named the fastest growing city in the country from 2000 to 2009. We know you have great pride in your community AND your BMW. Let us help you maintain your vehicle so it gives you many more years of dependability. Muffler repair…tune-ups…retrofits…whatever you need, Bimmers Only can handle it. That’s because our technicians are highly trained to work specifically on BMWs. We see the same issues day in and day out, so we can give your vehicle the personalized attention and expertise it deserves. Why take your car to the corner shop that may only work on a BMW once every few months? Instead, rely on our factory trained and certified technicians who offer specialized service highlighted by proven skillsets, friendly attitudes, and dedication to making the customer happy with the results. It’s our goal here at Bimmers Only to help you feel comfortable with your BMW repair and service. That means we keep you in the loop when it comes to everything we’re doing to your car so you can truly feel a part of the process. All too often, there’s a disconnect between mechanic and customer; we aim to bridge that gap. If you’ve been on the hunt for a BMW repair shop you can trust, choose Bimmers Only, with two convenient locations in Plano and Dallas. You will quickly see what sets us apart from the competition: the personalized relationships we form with our customers. Rest assured, we treat your BMW like it’s our own, so you can count on peace of mind in our commitment and level of service. We have many appointments for service to choose from, so contact Bimmers Only now in Dallas at 469-585-7718 or Plano at 469-585-7754. For your convenience, we are open Monday through Friday from 9 a.m. to 7 p.m. and Saturdays by appointment.